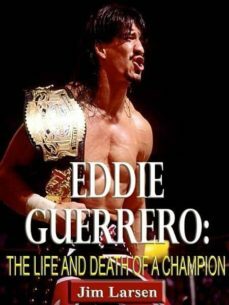 WWE Superstar Eddie Guerrero Found Dead WWE Superstar Eduardo Gory Guerrero, much better known in the fumbling world merely as Eddie, was discovered dead Sunday early morning in his hotel room in Minneapolis, Minnesota. Guerrero, a former WWE champ and a routine mainstay on UPNs Friday Night SmackDown!, was in town to compete in a championship match for a taped WWE Supershow, slated to air on television later today. He was 38. After failing to react to a 7 a.m. wake-up call, hotel security at the Minneapolis Marriott City Center accompanied Eddies nephew and fellow WWE entertainer Chavo Guerrero Jr. in trying to develop contact with Eddie. Following a collection of unsuccessful call and knocks on his hotel room door, they lastly forced their way into the room, only to discover Eddies body pushing the floor.